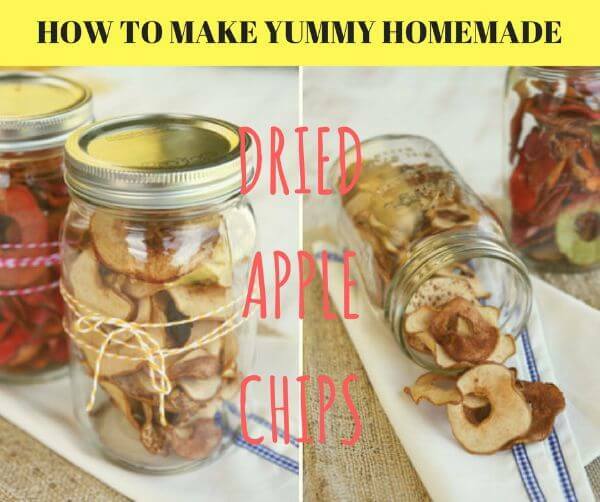 Dried apples are not only a nutritious snack, they're delicious too and so easy to make. All you need is water, apples and a little lemon juice and you can preserve a bunch of dried apples for the whole winter. Pros of dehydrated apples: Gluten-Free, Low Carbohydrate, Low Fat, Low Calorie, Vegan, High-Fiber. Even though it's a stew, this is light enough to be enjoyed even in the summer heat. The broccoli gives it lots of vitamins and also a wonderful colour and the lentils make it a satisfying meal. This stew has only few ingredients, but is delicious, gluten-free and vegan as well. So go ahead and enjoy it! You can find the recipe and more photos here. 1) Place lentils in a pot, top with water and bring to the boil. Lentils do not need any pre-soaking. Boil for 15 to 20 minutes (red lentils need less time than green lentils). 2) In the meantime, chop broccoli and mushrooms into bite-sized pieces. 3) Melt some butter in a non-stick wok or frying pan. Add broccoli and mushrooms and fry on high heat for 5 minutes. Remember to check on your lentils at this stage! 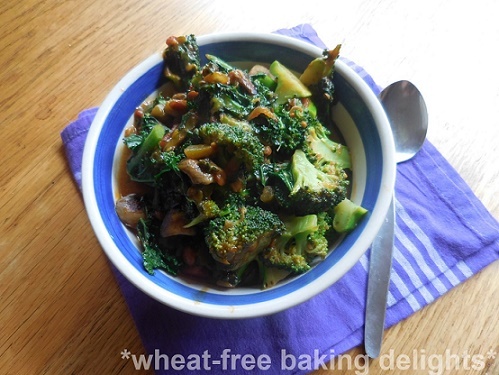 4) Add chopped (tinned) tomatoes to the broccoli-mushroom-mixture. Add paprika spice and dried herbs and mix well. 5) Your lentils should be almost done by now. Drain their water and add the lentils to your vegetables. Mix well, reduce the heat to medium and cook for another 3 to 5 minutes. Serve and enjoy while still hot! I combined the crisp, flavorful Sharon fruits with fresh Mint and creamy seasonal Avocados. To satisfy my desire for crunchiness, I also included a lovely, gluten-free, and grain-free cookie. If you haven’t experimented with Plantain flour yet, don’t hesitate at all. As it contains no gluten, is versatile and easy to use, plantain flour will become your trusted ally to all your healthy baking. Heat the oven to 180 degrees Celius. Boil ½ Cup of Water. Mix ¼ Cup of Plantain Flour with half of the hot water in a pan, over low heat. Keep working your mixture with a wooden spoon, add the Coconut Sugar and the rest of the hot water. In order to obtain an elastic, smooth dough, you might need to add a little bit more water and knead with your hands a bit. Place your cookie cutters on a baking sheet. With the help of a teaspoon, divide the mixture into your cookie cutters. I used two big ones, 7.5 cm in diameter, and I had enough dough for a smaller one as well. Remove your cookie cutters and put your cookies into the oven for about 25 minutes. Turn them around and bake them for 10 minutes more, until they get a nice color. In the meantime, scoop the Avocado and add it in your blender, together with the Mint, Honey, Lemon Juice and Water. Blend until obtaining a beautiful, creamy, and smooth texture. Keep in the refrigerator until needed. Cut your Sharon fruits into fine cubes and divide them into two or four plates. 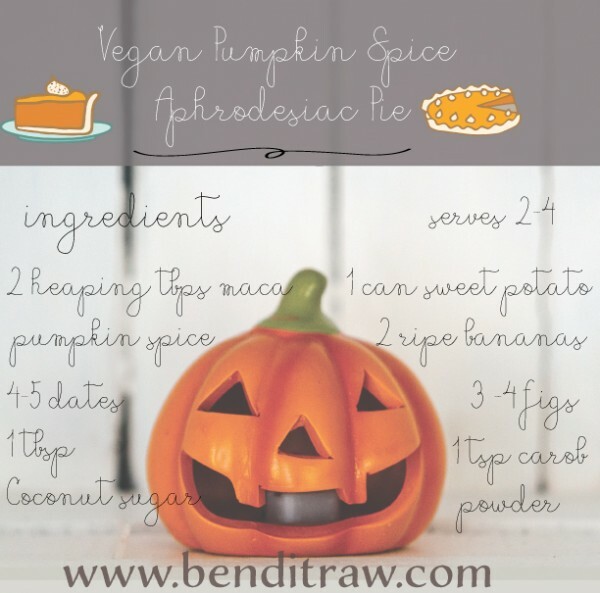 Add the Avocado cream and decorate with the Plantain Cookies. Enjoy! This recipe is not the quickest one, but trust me, the luscious look and the mouth-watering taste is worth the effort. If you want to speed up the process why not make one Black Forest Torte, instead of several tortini? Use a spring-form pan and make one Chocolate sponge cake. Cut it lengthwise, and proceed with the layers as described below. You will get a yummy Black Forest Torte that is super healthy and tastes divine! 1) Heat the oven to 175 Degrees Celcius. Pour the Honey, the Olive Oil and the Eggs into the bowl of your food processor. Process until combined. 2) Measure out the Almond Flour and Bicarbonate of Soda into another bowl and mix them together. Add to the wet ingredients little by little. Process on a medium speed, then add the Cacao Powder. Process until all the dry ingredients have been mixed in. 3) Spoon the mixture into your muffin cases until about half full. Bake in the oven for about 20-22 minutes, without opening the oven door. Take your little Chocolate Cakes out of the oven and insert a sharp knife in the middle of a couple of them. If your knife comes out clean, they are ready. Allow your Chocolate Cakes to cool down. 4) Make the Cherry Sauce by simply combining the three ingredients into your blender. Blend until obtaining a smooth, delicious cherry sauce. Keep in the refrigerator until needed. 5) Put a big bowl and the whiskers into your freezer for about 5 minutes. Open the Coconut Milk Can upside down and place in your big bowl the creamy part of it. Keep the Coconut Water for your smoothies. Add the Coconut Sugar and the Vanilla Extract. Whisk until obtaining a fluffy whipped cream. 6) With the help of a sharp knife slice your Chocolate Cakes lengthwise. Put a teaspoon of Cherry Sauce on top of the Chocolate Cake. Continue with a teaspoon of Coconut Whipped Cream. Assemble your Black Forest Tortini. Decorate with Dark Chocolate Shavings and little pieces of cherries. Enjoy! 1) Place the Sunflower Seeds in your food processor and process into small pieces. Add the remaining ingredients and process until obtaining a sticky consistency that holds well together. 2) Line a chopping board that fits in your freezer with parchment paper. Place your four cookie cutters on it. Press the crust mixture inside your cookie cutters, so as to create the crust for your cheesecakes. Put your chopping board in the freezer while you’re making the filling. 3) Place all the filling ingredients in your food processor and process until getting a beautiful, delicious cream. Divide the cream on the four crusts and place your cheesecakes back into the freezer to set. 4) Your cheesecakes don’t need more than half an hour to set. Remove them from the cookie cutters, add the toppings, allow them to come to room temperature and enjoy! Note: You can keep your Tomato Cheesecakes in the freezer longer, but remember to remove them from the freezer and allow them to thaw for at least an hour in room temperature before eating them. This way you will enjoy their creaminess to the fullest! 1) In a small saucepan, combine the Coconut Milk and the Agar Agar powder with a whisk. Allow it to rest for 10-15 minutes. 2) Place the saucepan on low-medium heat and whisk in the Coconut Sugar and Cardamom. Continue to whisk occasionally as the mixture heats up. Let it simmer for 2-3 minutes. 3) Remove the saucepan from the heat, and pour the mixture into 6 moulds or serving bowls. When they have cooled down, place them in the refrigerator for 2-3 hours to set. 4) Put the Apricots, the Dried Apricots and the Orange Juice in your blender. Blend until obtaining a beautiful, smooth texture. Taste and add the Raw Honey if needed. Store in the refrigerator till needed. 5) Place the moulds or serving bowls with the Panna Cottas into hot water, to facilitate them coming loose. Top with the Apricot Sauce and sprinkle with Lavender Flowers. Enjoy! 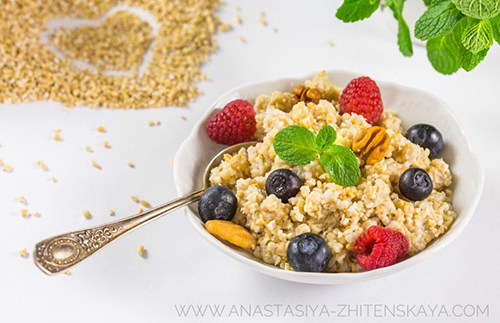 This vegan, gluten-free and grain-free recipe is totally hassle free and convenient to make when you are tired and don’t really feel like cooking. You only need a big saucepan for steaming the Carrot Ribbons and the Young Asparagus. Steaming will take you less than 5 minutes, just enough time to slice the spring onion and the sun dried tomatoes, and crush a few cashew nuts for the topping. Serve and enjoy! 1) Place the Carrot Ribbons and the Young Asparagus Shoots in your steamer for about 4 minutes, until the vegetables soften, but remain crisp. 2) Serve into 2 plates first the Carrot Ribbons, then the Asparagus. Add the Sun-Dried Tomatoes and the Cashew Nuts. 3) Sprinkle with some Olive Oil and decorate with a few Nutritional Yeast flakes. Enjoy!